1. 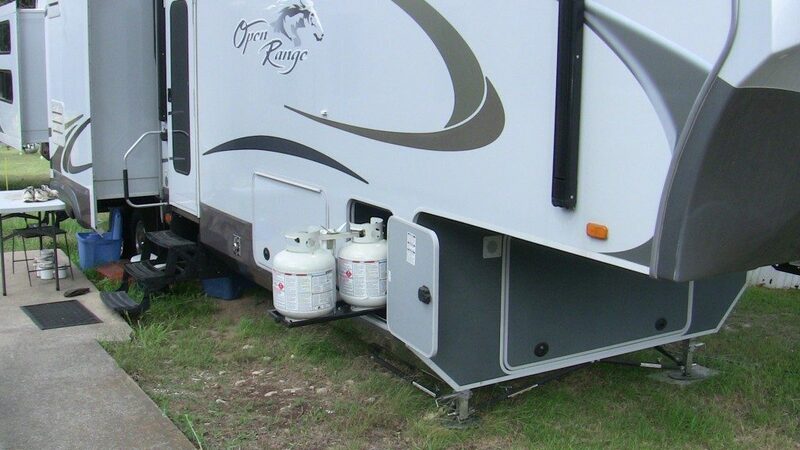 How Does RV Fridge Operates With Propane? 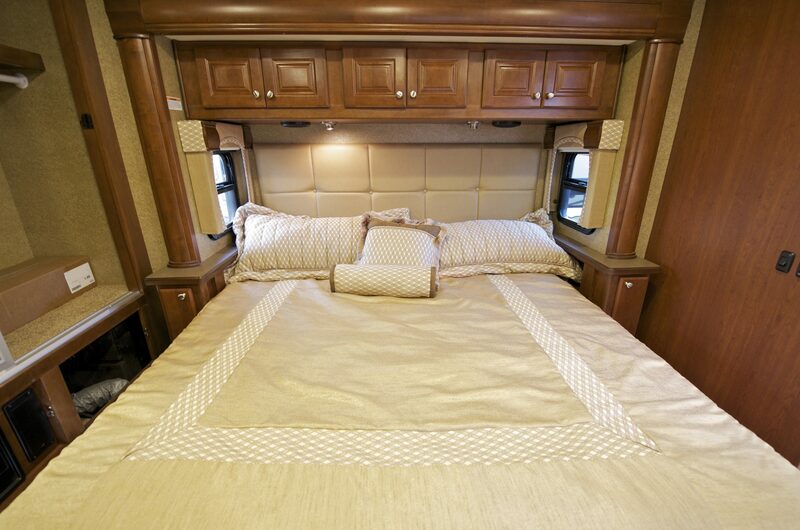 Planning to replace your old refrigerator with the purchase of new Rv one? Then, let’s get a general idea of how it works first and how much propane does an RV refrigerator use? Because learning about its function would be helpful in operating and maintaining this challenging design of RV appliance at later stages. This sealed system uses a combination of Ammonia and water. Firstly, propane comes into an action, as it heats these two substances up to their boiling point. When water and ammonia start boiling, these go through various tubes into a chamber, where water separates from ammonia. From here, the water moves into the condenser and ammonia takes a trip to the condenser, where it cools down to its liquid state. Followed by this, the ammonia enters the evaporator, where it combines with hydrogen gas. This fusion of gases led to the generation of very cold vapors. These vapors finally through the cooling coils enter the refrigerator and starts with the chilling process inside the refrigerator. These vapors also return and mix with the water, thus restarting the process again. The advantages this RV refrigerator offers depend on the cost, energy efficiency and appliance design. To understand it, let’s explore in details. The propane used in refrigerator lasts for a long time because of its minimal usage in initiating the cooling process. 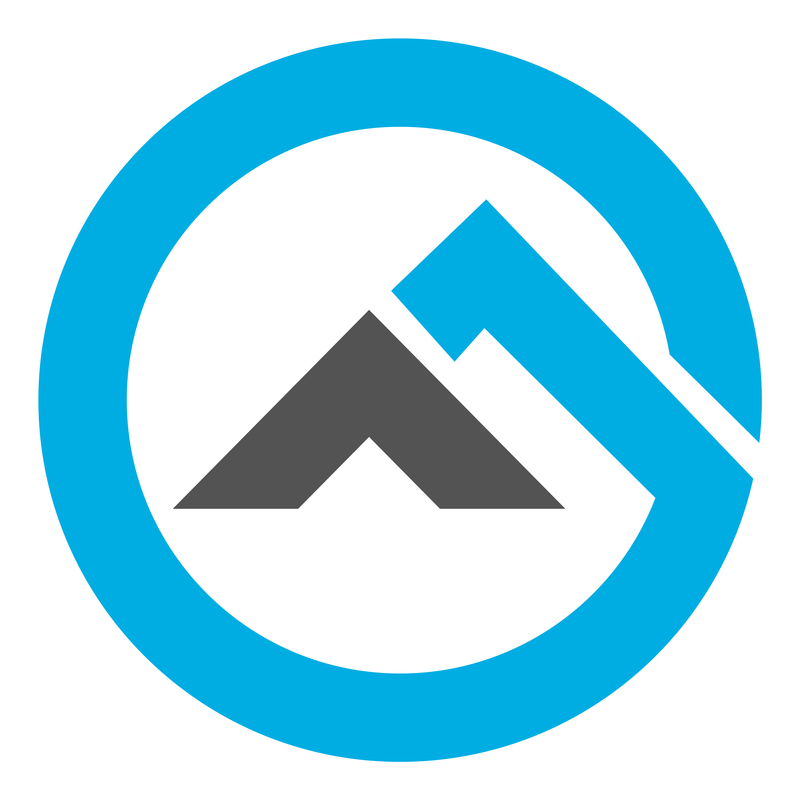 To understand about its amount, propane is usually measured in gallons. Moreover, a gallon of propane can produce the same amount of energy as 27kilowatt-hours of electricity. 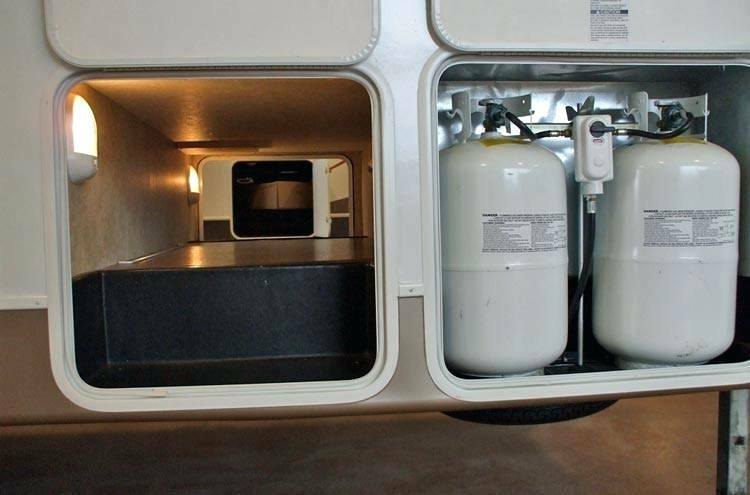 Find out how much propane does an RV refrigerator use. 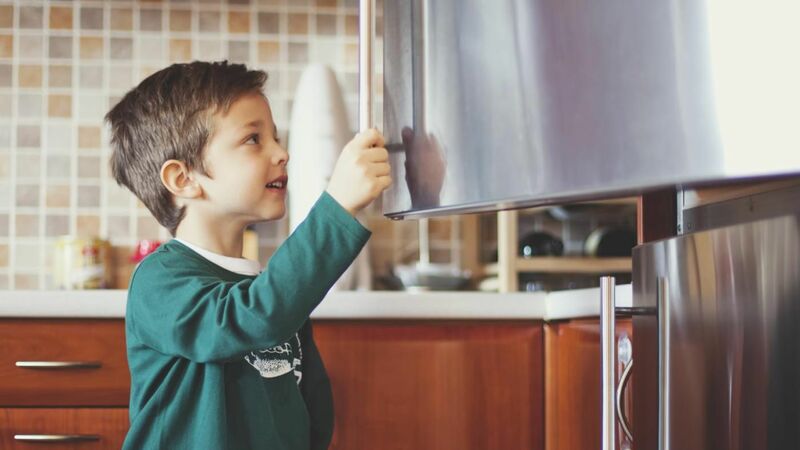 As studied, it consumes less amount of propane in starting the cooling of refrigerator unlike residential refrigerators, which uses electricity. This proves that the usage of propane costs far less than the expenses of accessing the power. There is no doubt that electric machine is better when compared in terms of fuel proper utilization. However, this does not make electric refrigerator efficient. As propane generates heat more quickly than the electric power; this initiates the cooling process faster than the latter source. The cooling process of the fridge depends on its gravity. Therefore, if you wish your refrigerator to work efficiently with propane then, make sure it is leveled. Knowing all about the propane usage can now possibly make you understand how much propane does an RV refrigerator use and what benefits it provides. So, whenever you think of buying this appliance, consider these tips given. 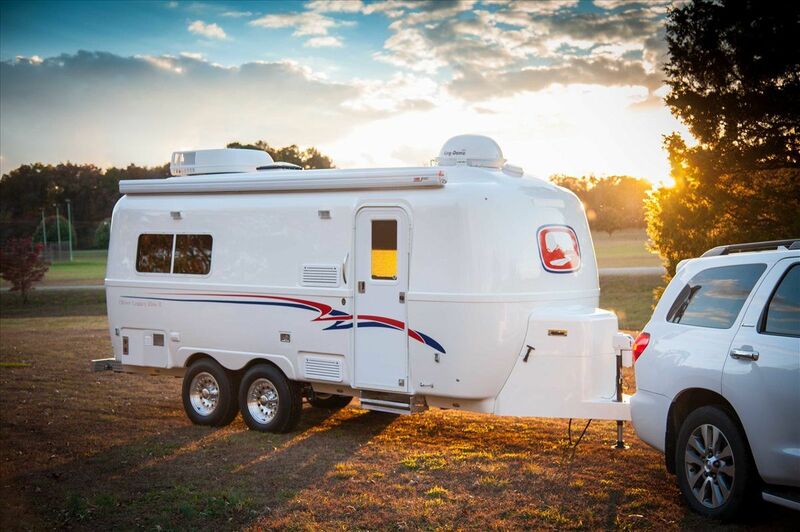 Learn other RVing tips and knowledge, click here!